Protect America has been very professional. I think it was kinda difficult, but okay. My wife was out here on the evenings and I wasn't here I was working so we made it, we put it on so we have some protection. Everything has been good. I own the equipment but it is good, their service is really good. I like my service so far I have nothing to complain about it. Everyone was very polite and very courteous so I think they're really doing a great job. I am very satisfied- I've been using this for about 15 years or more. The only thing I have is I'm having problem with the wireless system that I got from my windows. I got one I pay for it and I have to send it back, I got another one and this one does not work either, one work and one business so I still have the one one that is not protected. The product is excellent. it has sensor, motion sensor and then the one are window sensor, the maintenance was fine, the control board help wireless..it didn't require a phone line that's why I got it. I feel good about the service too. I felt like I needed an alarm system, but I'm not pleased because the alarm keeps going off when I go out when I'm out of town and have the law enforcement show up when there's nothing going on. Overall, they're not good, but the sales team is great. I own a co-op and I needed protection for my apartment so I have security, a home services - so I use Protect America for home security. They are very good. We have a full home security system. Both the customer support and service are excellent. Overall their service is very good they have had some problems with some of the equipment, alarm equipment censors but probably nothing out of the ordinary so overall we're quite satisfied. We've probably had the security system like 15 years now - it's very, very good. This is a great company to work with. I wanted some protection for my house and everything works very well. I'm a police officer and I thought we need it, home invasions. I've had Protect America over 15 years or so. Everything has been very good. I'm very satisfied with the product, service, and just overall. 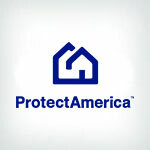 Somebody broke in and robbed our house - that's why we decided to purchase Protect America. They're very helpful anytime you have a problem, just call them up and they'd take care of it. I'm A hundred percent satisfied with the service. At the time our vehicles had been vandalized twice while they were on our driveway and we did not hear anything and were afraid that whoever went after the cars will go after the house so that's why we got the security system. My husband did some research online and we're looking for something that was affordable where we didn't need to knock-hole in the walls and I guess Protect America has some good reviews at that time so we decide to try it out. Our overall experience has been pretty good, my husband done most of the you know putting it up and everything, he said pretty simple and it seems to work pretty well too. Their customer service is pretty good when we call with the question or any kind of problems. My wife purchased this. My satisfaction with service is great and the equipment is good. We were moved to Protect America when Astronics went out of Business. Protect America has been good though. Everyone has been really courteous and polite when I call them with questions. I haven't had any problems at all. We decided to get a security system because some robbers broke into our next-door neighbors house and they had a lot of problems. We used to have the wireless-cell service and that worked well. We decided to switch to the internet based connection and it isn't as good. We have issues sometimes with our sensors. The company is good to deal with though. I'd give them a 7 or 8. This company is very responsive and easy to work with, and the system is very excellent. We have a security system to protect our growing family, and Protect America does a great job. I travel a lot, so I wanted to make sure that my family, home and belongings are all protected. Their fees are a little high for me, so i'd give them an 8. I live alone and wanted to feel protected. A friend told me about Protect America so I signed up with them. I like it very much! Some times I'll accidentally trip the alarm and they'll call me right away, its nice to know that it works and they are doing their job. We actually decided to get a security system because it lowers our insurance rates. The system is easy to use and actually works well. We have been with them for years and love them! Protect America has been great to deal with and the system is so easy to use. We have been with them for years so that we can continue to protect our family. I wanted to protect my home and belongings, so I got an alarm system. I have been with them for years, and I have never had any issues. The service is satisfactory. We have had the system for a long time. It has been pretty straightforward to use and works reliably. We were robbed a while back, so I did research online and heard about Protect America. Its been a good service for us. I have been with them for years and plan on staying with them. I wanted to increase home protection but not have to pay too much. A friend told me about Protect America. The alarm system is very easy to use, and the company easy to deal with. You get what they describe. The world is a scary place right now, so I decided to get a home security system. A family member told me about these guys. We haven't had any problems, so we're pretty happy with them. My wife signed us up, but I have been pleased with it. It is nice to have our home protected. There was a break-in, but the system notified us that someone had broken in, and law-enforcement also contacted us. IT worked great. I used to had ADT and really didn't like it. I came across these guys online and they have been making waves in the industry. I have been very satisfied with the service so far. Its all easy and straightforward. I like the idea of being protected in my home. My neighbor has protect america and was showing me the system, I really liked how easy it was so I decided to give them a try too. I am very satisfied with the product. I have had this system for a really long time, and it has been great. I like having the panic button. I haven't had any problems really, and I would definitely recommend this service. I saw a commercial on TV for protect america so I thought I'd give it a try. I thought I could use a security system since I live alone. It has been a wonderful service. I have had no problems with the company either. I am always worried about someone breaking-and-entering into our home. A co-worker was telling me about Protect America so I decided to give them a try. I've been pretty satisfied with their service. I live alone, so my son got Protect America for me. I was most concerned about my doors and ground-level windows, so its nice to have sensors on them. I am very satisfied with the service, and it was so easy to install. We have been looking for a home security system for a long time. We saw a commercial for Protect America and they just made sense so we called them. it is a good deal and it is easy to use. Customer service is easy to deal with too. I went with Protect America because I wanted home security and they just made the most sense to me. We have had no problems at all it has been great. I would give them a perfect 10. Our home had been broken into before, so we decided to get a security system. Protect america was such a great deal. We have been very pleased with there service. We actually inherited the system when we moved into this house, but we've been really pleased with the service. I just wish that my plan had a security camera, but other than that everything is great. We just bought a house and want to make sure that it is protected. I have had the system for a while and i've been extremely satisfied with the service and with the company. I give them a 10 and would recommend them to anyone. I have the platinum plan. I found PA through an online search. I got the system for peace of mind because there have been a lot of break-ins in my area. Everything has been pretty good. i give them a 9. I've been with Protect America for over 10 years. I got a security system for peace of mind when my husband is out of town. I give them a 7 out of 10 because sometimes the sensors don't work quite right.